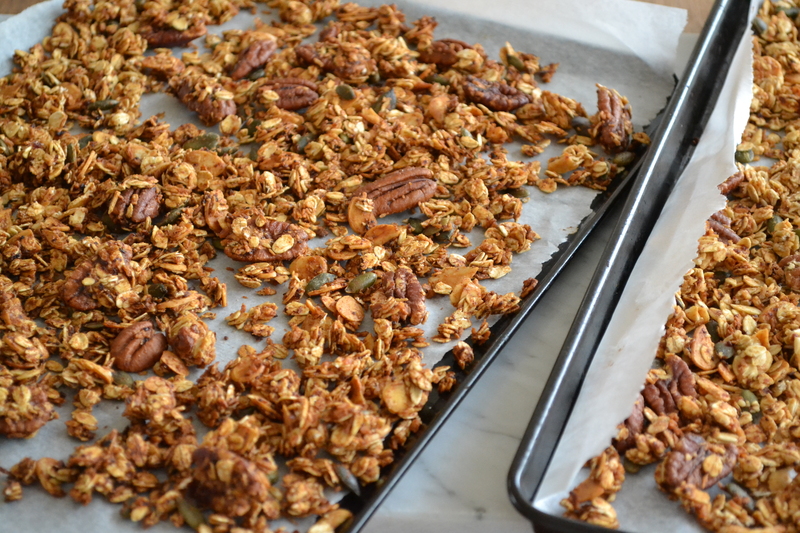 This recipe is loosely based on the ‘Nutty Granola’ from Honestly Healthy. 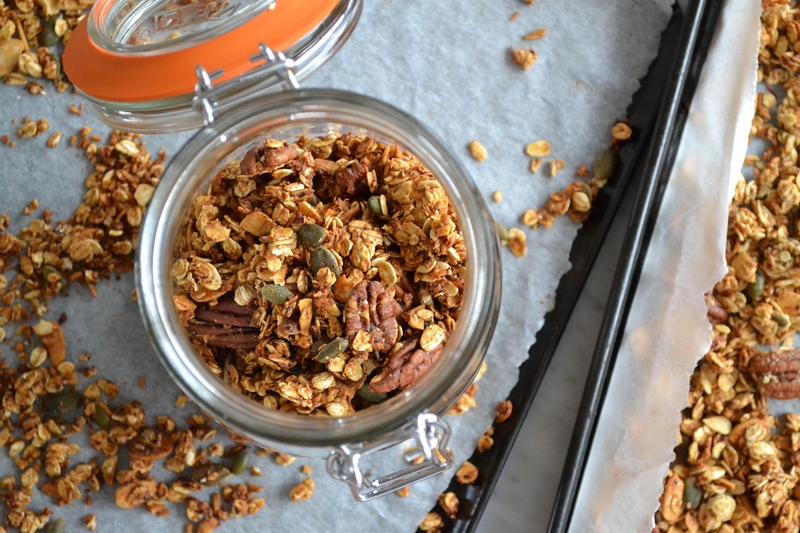 I’ve cut down on the honey and olive oil as I find it doesn’t need as much, swapped out the cashews for some flaked almonds and added a couple of other ingredients. 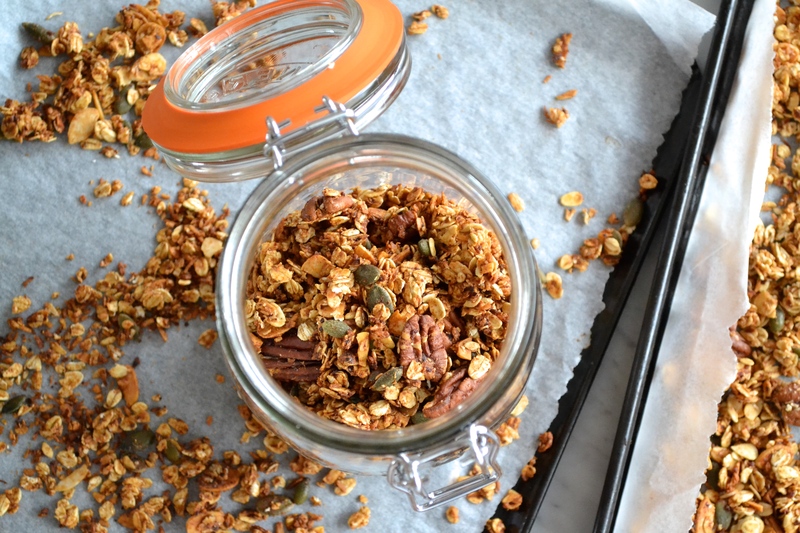 The great thing about this recipe is that you can easily take out or add whatever you like to create your ultimate granola. Preheat your oven to 160°. Simmer the dates in 1cm of water for 15min. Place in a blender with the cinnamon, honey and olive oil and blitz until smooth.